October is chalk full of sewing and Halloween crafting fun for all ages and skill levels! 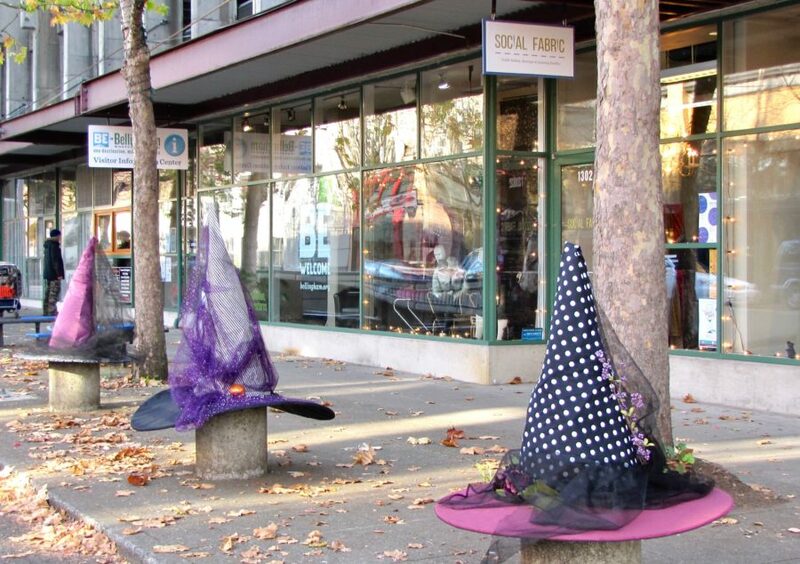 10/31 – Downtown Halloween Trick or Treat! To register for a class or learn more about an event, please call us at (360) 733-1323 and/or sign up online. Click HERE to view full online October class calendar and events. KEEP IN THE LOOP by signing up for our weekly newsletter! Social Fabric is a Boutique, Textile Gallery and Textile Arts Learning Center. Come visit us at 1302 Commercial Street, (in the Parkade Building) in downtown Bellingham. We’re open 11-6 Monday through Saturday and 11-4 on Sundays. Now open late on Thursday until 8 pm! Contact us at 360-733-1323 to sign up for any class. What do YOU want to make/wear today?